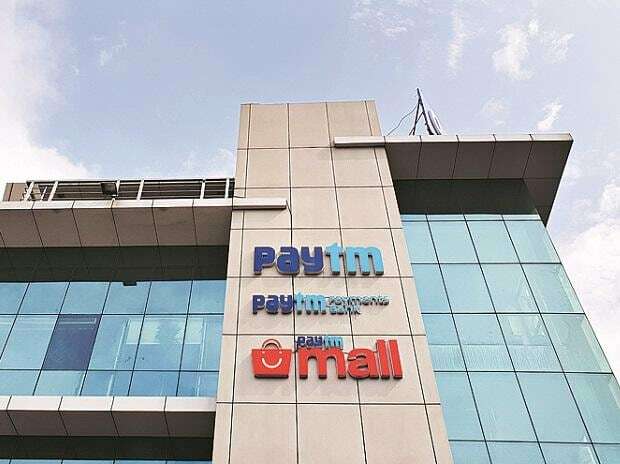 Putting speculation to rest and eyeing a comeback, Paytm Mall, the online marketplace firm of Vijay Shekhar Sharma-led One97 Communications, is planning to hire as many as 500 back-end tech team members. The company is targeting Rs 10,000 crore in business over the next 12 months. The news comes amid reports that the company was planning to scale down its online marketplace business and eventually exit it. The company, however, has been through some internal reshuffle as well as changes so that it can revamp and reboot. According to sources, while Amit Sinha, chief operating officer (COO) at Paytm Mall, is still overseeing the business, he might be given another role in the company. The company on Sunday said that it was on the fast track to expand its online to offline (O2O) platform across the country and has witnessed growth of over 200 per cent in the last six months. In past few weeks, the company has hired 200 people across various verticals to bolster back-end processes and plans to add another 300 on the rolls in the next few months. “We are observing strong traction for O2O with the business growing over 200 per cent in the last six months and have therefore doubled down on this business model. To support this growth, we have re-aligned some of our teams and have added 200 more people for the business. We further plan to add an additional workforce of 300 people across business, technology, and product in the next few months,” said Srinivas Mothey, SVP – Paytm Mall. The company is planning to make a splash in the grocery space over the next few months. It would soon go big on hyperlocal grocery delivery and would also get into the fresh produce space. Over the past few months, it has been increasing its merchant-base, which will help in creating traction in the grocery segment, a vertical which if tapped, ensures repeat customers and daily transactions. “The idea is to do a business of around Rs 10,000 crore in the next 12 months. For this reason the company has been on a rapid expansion mode. It is very serious about the online marketplace space and that has been made clear amply by the founder of the company as well,” said a source close to the firm. The company has also partnered with large format retail stores, including Croma, Reliance Digital, and Big Bazaar; Brand-exclusive stores such as Samsung, Asus, Dell, Lenovo; and large format retail stores to ensure a strong offline presence in all major tier-II, and tier-III cities. For the Alibaba-backed online marketplace, the going has been tough. The company had reported net loss of Rs 1,787 crore on sales of Rs 774.8 crore in FY18, nearly 150 times the losses reported in 2016-17. Competing with Amazon India and Flipkart, the company has not been able to make strong in-roads into the e-commerce market unlike Paytm Wallet, which is the market leader in its segment. 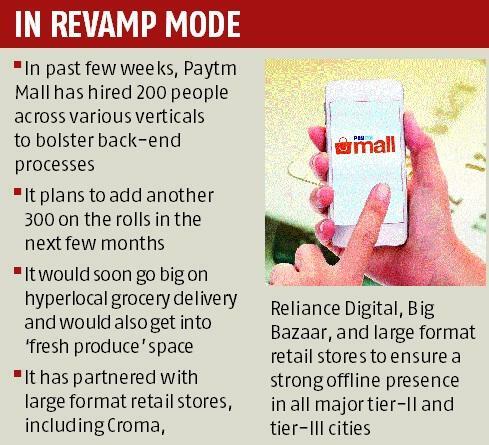 Sharma, during an interview to media some time back had, however, made it clear that they would be expanding Paytm Mall and grocery would be one of the target |verticals.